The Philadelphia region could see periods of snow and sleet today, forecasters are warning. The National Weather Service says a mix of rain, snow and sleet is likely for the area through early afternoon. The precipitation should then transition to rain and sleet and eventually just rain by late afternoon, the weather service said. Any snow is most likely between 10 a.m. and 1 p.m. and less than an inch is expected. Any accumulation should be limited to grassy areas and non-paved surfaced. Sleet is most likely to hit the region from early to mid-afternoon. 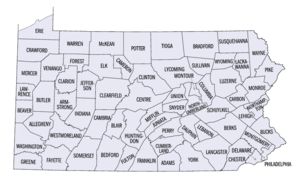 A number of communities in the region’s Pennsylvania suburbs, notably in Chester and Montgomery Counties, grew substantially between April 2010 and July 2013, Census Bureau population estimates released Thursday show. 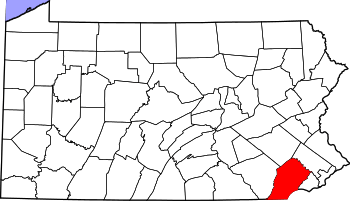 In Chester County, there were noteworthy upticks in municipalities such as Malvern, West Chester, East Brandywine, and West Goshen, and the same was true in Chester/Delaware County border towns such as Bethel and Chadds Ford. In central Montgomery County, Upper Hanover, Towamencin, and Salford were among the burgeoning towns. 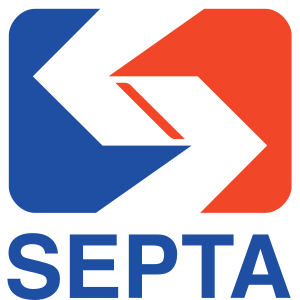 Meanwhile, Philadelphia remained the fifth-largest U.S. city, with a population estimated at 1.553 million through July 2013, an increase of just over 27,000 from April 2010. It was the seventh year in a row of population growth, the census data showed. Center City, Philadelphia’s engine for growth for the last decade or more, is showing signs of distress, according to statistics compiled by the Center City District for its annual “State of Center City” report. From office rental rates to visits to tourist attractions and the number of major conventions on the horizon, a variety of measures of the health of the city’s core suggest it might not be quite as vibrant as hoped. For instance, while Center City’s population inches higher, office rental rates run stubbornly below national averages, an indication of a city’s weakness in attracting new employers. Employment in health care and education – the city’s biggest job creators – has been flattening and, in the first time in a decade, declined in 2013. Update: At 8:45 a.m. Saturday, about 152,000 were still without electricity, according to Peco, down from 715,000 at the outage’s peak. Sixteen percent of the Pennsylvania suburbs remain without power; including 30% in Chester County. Nearly 40 percent of Chester County remained powerless late Friday, with several communities entirely dark for a third straight night and officials warning that it might be days before all the lights were back on. Peco, which had more than 5,000 utility workers – half from out of town – clearing downed trees and repairing wires Friday, continued to make progress restoring power, with more than 60,000 customers brought online during the day. At 10 p.m. Friday, about 182,000 were still without electricity, down from 715,000 at the outage’s peak. Peco ranked the event as the largest winter power outage in its history, second overall to 2012’s Hurricane Sandy. 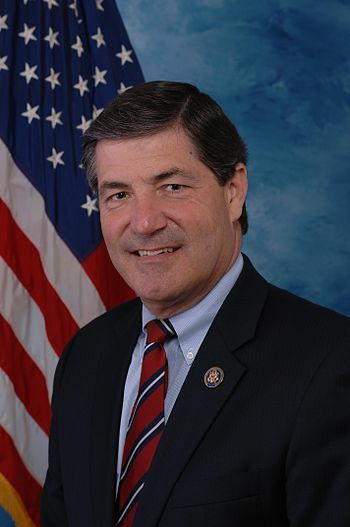 The scramble to become a candidate for U.S. Rep. Jim Gerlach‘s seat has already begun and the battle for the post will be a national spectacle, political watchers said Monday. The Chester County Republican announced Monday that he will not seek re-election to a seventh term. And while Gerlach said he mainly made the decision to spend more time with his family, he acknowledged that frustration with Washington had to play a role. Transit-oriented development is not new, especially to older metropolitan areas such as Philadelphia. Whether in anticipation of the arrival of public transit or in its wake, homes and commercial enterprises have sprung up near rail stations, trolley stops, and subway entrances since 1858, with the advent of horse-car service on Fifth and Sixth Streets between Southwark and Kensington. The first steam train began running from Philadelphia to Germantown in 1832, igniting a mass-transit boom that would dictate how and where the region would grow. As rickety as public transit sometimes seems, this region still has an infrastructure that cities such as Los Angeles; Portland, Ore.; and Atlanta have spent billions trying to replicate to ease their dependence on the automobile. Debbie Campolo’s husband came home one day in February to find the front door of their house in Radnor smashed open. The target was clear – her jewelry box sat empty on the bedroom dresser. “They took everything I had, even the stuff my kids made me,” said Campolo, a physical therapist who lives near Overbrook Golf Club. Then she talked to three or four neighbors and workout pals who said the same thing had happened to them. And she found out that a few weeks before her break-in, a house three doors down had been hit the same way. “They come in, pull a pillowcase off of a pillow, and then they dump the contents of a jewelry box right in it,” Campolo said. Editor’s note: Nice mention of Pottstown‘s own George Bieber by the Inquirer! “Honestly, when I started, I was thinking I would be in the city a lot, but now we’re hardly ever there,” said George Bieber, a Pottstown restaurateur who started Sunflower Truck Stop in August. Bieber, whose truck offers gourmet sandwiches such as Green Curry Bacon BLT, Crab and Artichoke Grilled Cheese, and Sweet Potato Quesadilla, recalled that in one town, two older permitting officials eyeballed his rig as if it had landed from Mars. “They saw that it was not just a hot dog truck, it was something different,” said Bieber, who ultimately was invited by the officials to park at the town’s Community Day. Last year, Montgomery County licensed 76 mobile food vendors. EAST NORRITON – Men who choose to undergo a robotic prostatectomy for treatment of prostate cancer have a much sunnier outlook than those who have their prostates removed by traditional surgery. Young Kwak didn’t need to read that result of a study recently published in The Journal of Urology to know he was more than happy with his own robotic experience. As the first patient at Einstein Medical Center Montgomery in East Norriton whose operation was assisted by the daVinci Surgery Robot, the Limerick resident said his goal was to get it done and move on with his life. Money Magazine lists West Goshen Township as No. 25 among America’s 100 best small towns for 2011. West Goshen Township is the highest-ranking Pennsylvania town named on the top 100 list, with Horsham Township (31st), Ardmore (45th) and West Norriton Township (59th) following behind… (McCandless Township in suburban Pittsburgh also made the list coming in at 46th but was not mentioned in this article). Who the heck did you people hire as a security consultant?!? In a misguided effort to locate missing computers, Lower Merion SD illegally captured photographs and screen shots from student laptops. Two students sued the district and the FBI was even involved!!! Student Blake Robbins testified he was photographed 400 times and a two-week period, even asleep in his bedroom. Can you say invasion of privacy! Fortunately for Lower Merion, the FBI is not pursuing a criminal wiretap case against the district. I would think a head or two would roll over this screw-up!